Slade Wilson, otherwise known as Deathstroke, may be one of the world’s best assassins, but as a husband and father, his skills are...lacking. When spouses fight, it can get ugly, but when the Wilsons fight, organs are lost! Case in point: Slade’s wife Adeline once shot his eye out after an especially heated argument. 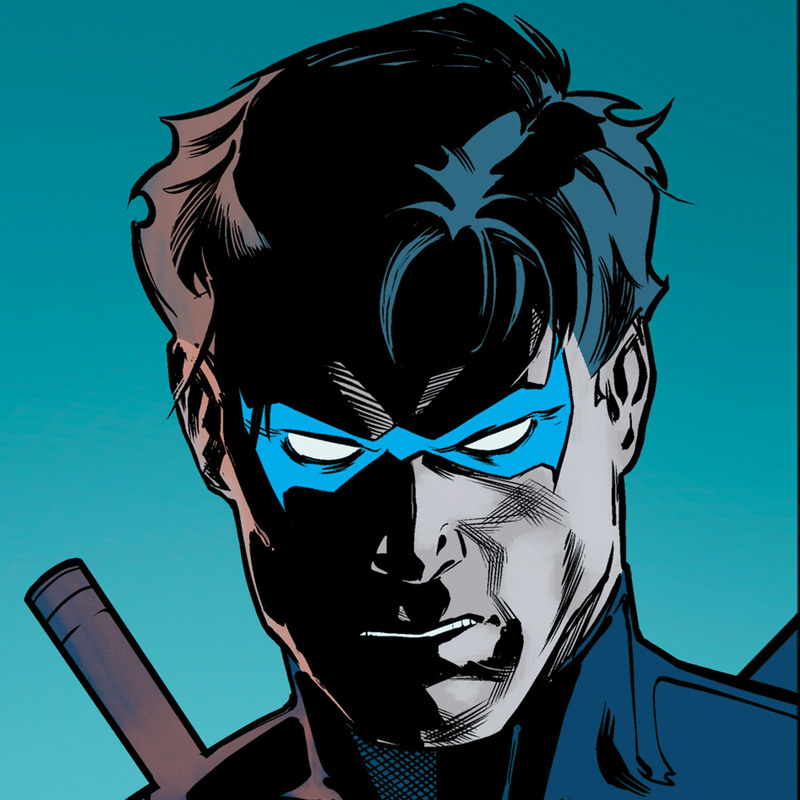 But Slade isn’t the only Wilson who dons an eyepatch, his daughter Rose once stabbed her own eye out, so she could be just like her father (in Teen Titans #12, written by Geoff Johns and penciled by Mike McKone, read it here)! Slade’s relationship with his son Joseph could also use some work. Joe, who joined the Teen Titans under the name Jericho, often found himself battling his father. 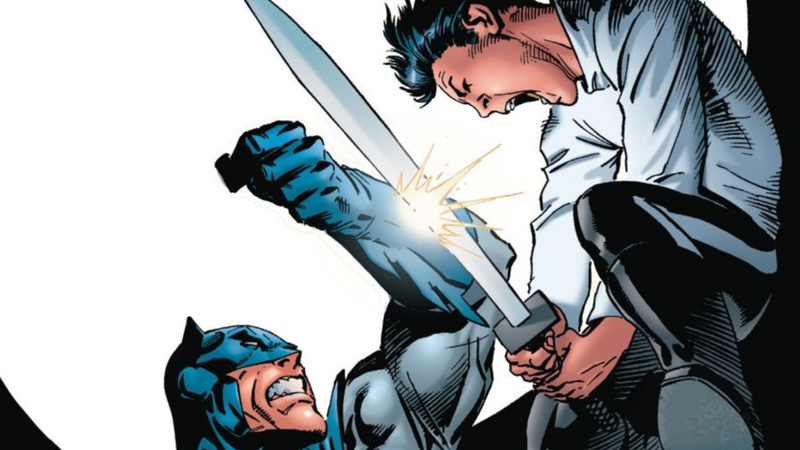 In fact, Slade drove a sword through his son’s chest when Joe was under the influence of the demons of Azarath. But Jericho cheated death by using his body-jumping powers to hide inside of his father. While inside of Slade, Joe forced his father to kill his best friend Wintergreen! 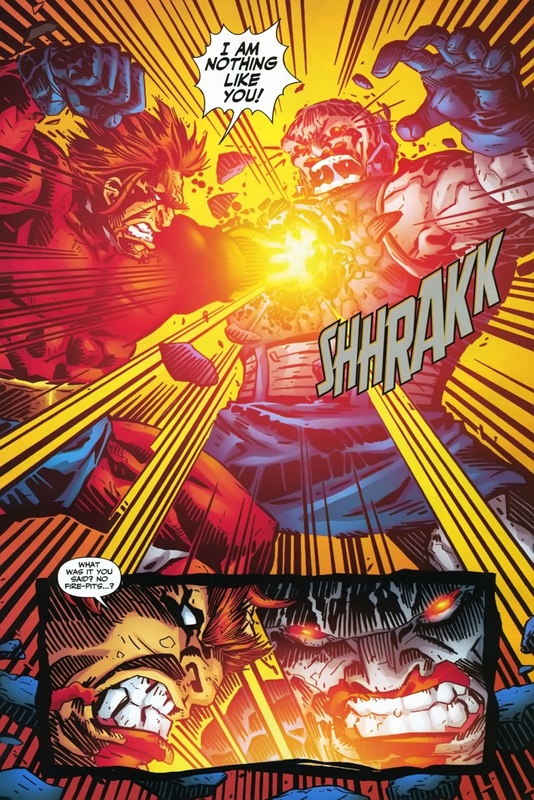 Slade’s brother Wade has also attacked his family, after donning the identity of the Ravager – a mantle previously held by Grant Wilson, Deathstroke’s deceased son. To say the Wilsons have issues would be an understatement. Many kids fantasize about being Robin the Boy Wonder and working alongside Batman. But the current Robin, Damian Wayne, has had anything but an ideal childhood. Damian’s parents split up before he was born, and his moter kept his existence a secret from his father for many years. 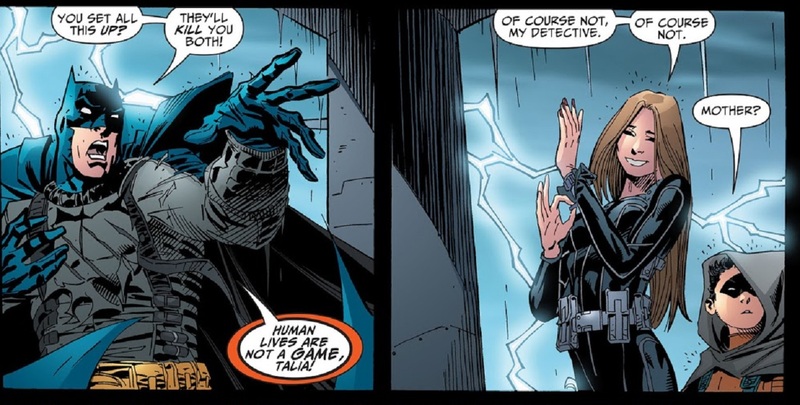 It’s hard enough to grow up when your folks don’t get along, but it’s near impossible when your father is Batman and your mother is Talia al Ghul, the daughter of international super-terrorist Ra’s al Ghul. Some kids find themselves put in the middle of their parents’ squabbles, yet Damian has taken that to a whole new level. The poor boy was killed by Heretic, a clone of himself his mother engineered for her war on Batman. Thankfully, Damian was revived, but he’s continued to spar with his mother (check out the animated movie “Son of Batman”, based on some of those stories). And while some kids are able to escape their parents battles by visiting their grandparents, Damian has no such luck. For his grandfather cares more about his own immortality than he does his grandson. Once, when in need of a body, Ra’s tried to sacrifice Damian, so he could use his young body as a host. 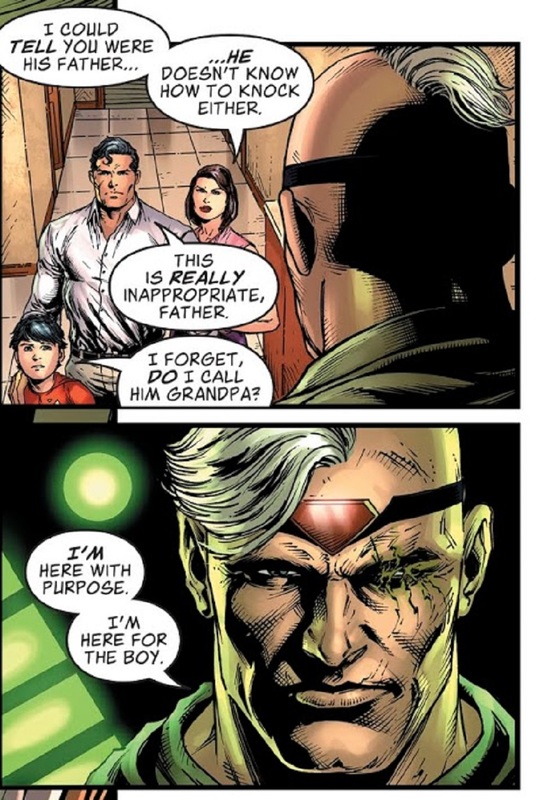 Damian doesn’t need to feel singled out though – Grandpa Ra’s has also tried to kill Batman many times and even his own daughter when she’s sided with the Dark Knight. The next time Damian gets obnoxiously arrogant, go easy on him – his family is a lot to deal with. The dynamics between a father and son can be tricky. Sometimes the father is disappointed his son didn’t go into the family business or because e doesn’t approve of his spouse. But that type of stuff is minor when compared to the explosive conflicts between Orion (read his first appearance in New Gods #1) and his father Darkseid. As an infant, Orion was traded away by his father as part of a peace treaty. Raised on New Genesis, Orion learned to focus his rage and hone it for battle, while maintaining an appreciation for life and a sense of justice – traits which put him at odds with his father Darkseid, since Darkseid’s sought only power, and to rule with an iron fist. While defending his adoptive world of New Genesis, Orion has clashed many times with his father. (Once, he even pulled Darkseid’s heart out of his chest!) The two have frequently competed in their search for the Anti-Life Equation, a formula that can control all living beings. When fathers and sons fight, it's ugly – but when Darkseid and Orion fight, worlds live and die! In the DC universe, the perils of family drama have even plunged the ocean depths. As if ruling the kingdom of Atlantis wasn’t stressful enough, poor Aquaman can’t seem to maintain harmony with any of his family members. His marriage to Mera has had its share of rough patches, including the time she tried to kill him, and he accidentally impaled her while defending himself. Thinking his wife was dead, Aquaman buried her, but she rose from the coffin and informed her estranged husband how little he knew of her unique biology. His sister-in-law Hila has not made things easy either, as she’s tried to overthrow Atlantis and become queen herself. Most people would at least be able to turn to their siblings for support during tense times like this. But not Aquaman. His brother Orm, operating as the villainous Ocean Master, has caused Arthur no shortage of headaches as he’s tried to overthrow both the kingdom of Atlantis and the surface world. 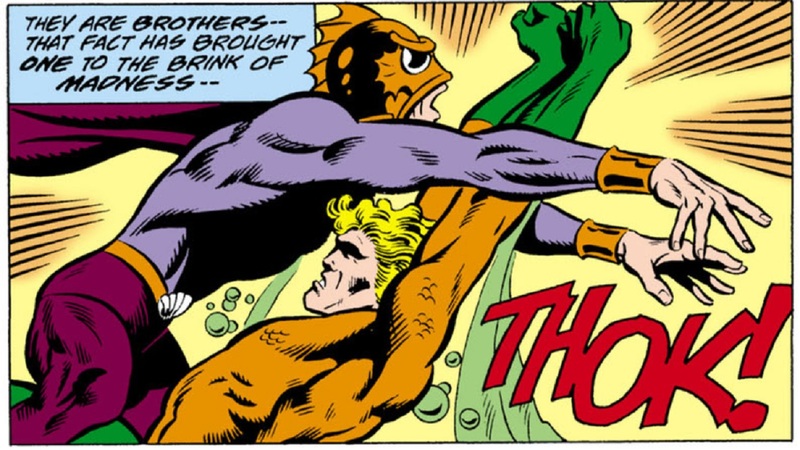 (Read one of their many classic battles in Aquaman #63.) Orm is jealous of his royal brother, and wants to take away everything Arthur holds dear, bringing their sibling rivalry to Earth-threatening levels. Superman may seem like a clean-cut Boy Scout, but his extended family has had its fair share of drama. Superman’s father Jor-El, for instance, who was thought to be dead for many years, recently returned as the mysterious Mr. Oz (seen in DC Rebirth), and the reunion has not gone well. Jor-El attacked his son with Kryptonite laser vision, and tried to get him to leave humanity behind, before leaving Earth with his son Jon. Lois’s side of the family isn’t any easier to deal with. Lucy Lane, Superman’s sister-in-law, has gotten into her fair share of trouble. During one of her more rebellious phases, Lucy joined the criminal group The 100, but that’s nothing compared to her stint as the villainous Superwoman – a role that put her at odds with the rest of her family and caused Lois to disown her. While some men struggle to get along with their father-in-law, Superman’s situation is a lot more challenging. 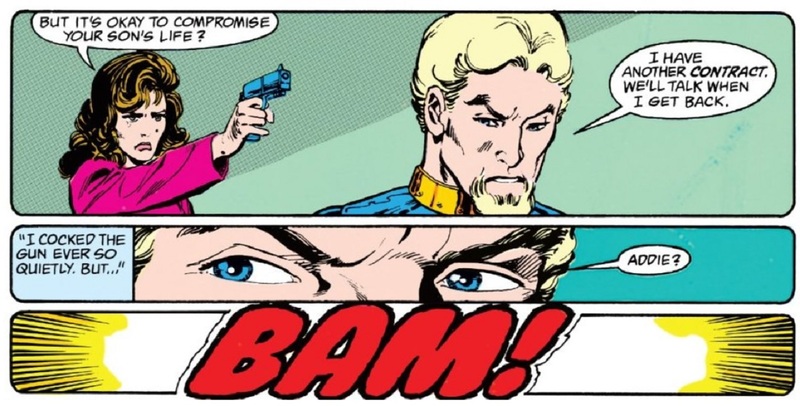 Sam Lane, Lois’s father, hates all aliens, and once engineered events that resulted in the destruction of New Krypton, a planet of Kryptonian refugees. Needless to say, Clark doesn’t think too highly of him, and the two have had plenty of conflicts. Only someone as strong as Superman could deal with a family this challenging. Which DC family do you think would have the most awkward Thanksgiving dinner? Let us know in our Community!